Two weeks ago E-tail PR announced they’d teamed up with Lashes of London to give away a massive £200 to spend on the website! I can’t resist a good competition so this is my entry. We were asked to make a wishlist from the products online and here’s what I’ve chosen. I wasn’t expecting to pick so many sparkles!! I completely fell in love with the dress pictured as number 3, it just screams Summer! 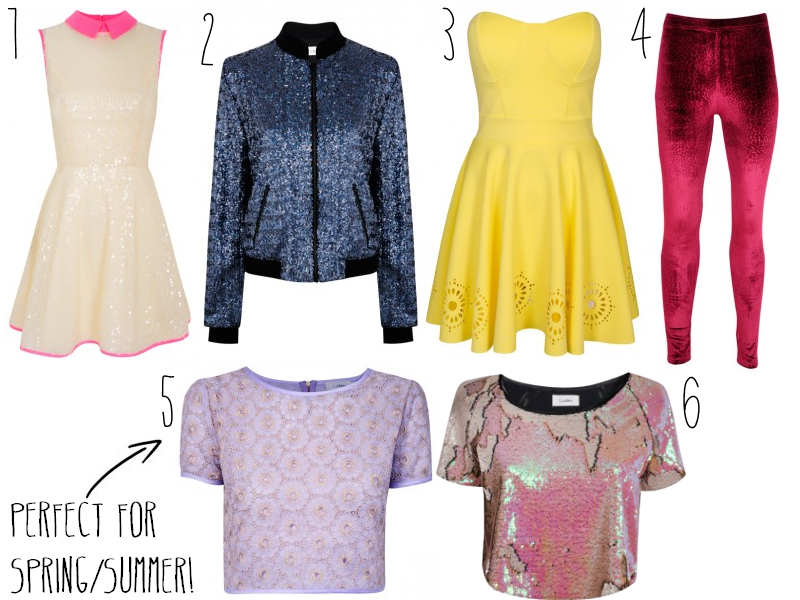 The crop top in number 5 is the same, summer summer summer! I love all kind of lace clothing so this had my name all over it. I also adore number 1. I love the colour of the sparkles and the splash of colour the collar and lining gives. It’s beautiful!! If you fancy checking out the Lashes of London website and all their wonderful clothes, you can do HERE.